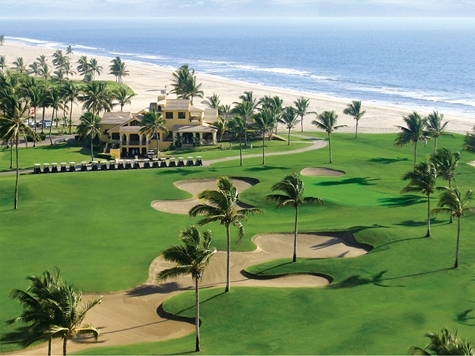 Estrella del Mar: Unlimited golf, luxurious environment. > Estrella del Mar Golf & Beach Resort, Mazatlan, Mexico welcomes you to Mazatlan with an “Stay & Play Unlimited Golf for Two Stay & Play.” This package provides accommodations over a two-night, three-day visit, with lodging in a garden-view room. It includes a welcome Margarita cocktail, two days of unlimited golf with cart rental and unlimited range balls for two guests and round-trip airport-hotel transportation. Taxes included in the the $599 total price. All rates are in U.S. dollars and subject to change. Send me more information about Estrella del Mar! 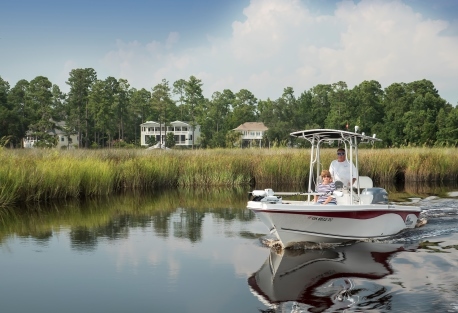 Osprey Cove, GA: Coastal community event has food, more. > Osprey Cove, St. Mary’s GA and its residents are getting set for a true highlight of the event calendar in its historic hometown of St. Marys. On Sat., Oct. 6 from 7:30 a.m. to 6 p.m. it’s the Annual Rock Shrimp Festival—a full day of fun including a 5K run, a themed parade featuring decorated floats, fire trucks, tractors, golf carts and more. Downtown will be overflowing with all-day entertainment, demonstrations, arts and crafts vendors, food concessionaires, and, of course, the sweet-tasting rock shrimp that is the event’s namesake. Admission is free and shrimp dinners are just $10 in advance or $12 on festival day. 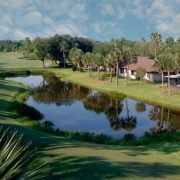 Send me more information about Osprey Cove! Indian River CC, FL: Contributes to worthy cause. > Indian River Colony Club, Melbourne-Viera FL recently reported that its charitable foundation had presented a check for $2,000 to Paws for Veterans, a fast-growing Satellite Beach non-profit. Begun only eight years ago, Paws for Veterans is a 501(c)(3) organization that rescues dogs destined for euthanasia and trains them as service animals for placement with combat-injured veterans. With facility expansion underway, the organization plans to help up to 20 veterans per month, rescuing countless more dogs from shelters and providing additional veterans with employment as trainers and staff. Send me more information about Indian River Colony Club!